Replacing, upgrading or extending your ZEX N2O System? 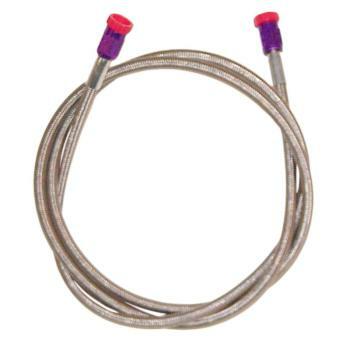 Trust ZEX Quality and ZEX Stainless Steel Braided Hoses. Teflon lined hose assemblies with stainless steel over-braid for strength and abrasion resistance. Hose assemblies come with straight swivel ends in –3AN and –4AN sizes.